Dr Katherine Brown is a lecturer at University of Birmingham, specialising in gender, jihad and counter-terrorism. Her research examines Muslim women’s involvement in political violence, the role of gender in jihadist ideology, and the gendered impact of counter-terrorism policies and practices worldwide. This work engages critically with public debates on security, Islamophobia and women’s rights. She has published widely and is currently working on a monograph for Oxford University Press on anti-radicalization policies and gender. Publications can be found via her linkedIn profile. She has provided peer-review assessments for over 30 academic journals and publishers, as well as for a number of European and UK research councils. She is a member of the Muslim in Britain’s Research Network and the UK Higher Education Academy’s Islamic Studies Network. She is a lead academic board member of the European Union Radicalisation Awareness Network, run for practitioners in this field. 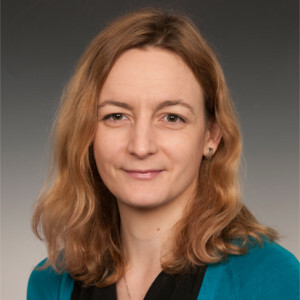 She has conducted extensive and focused research for, and on behalf of the British Army, the UK Ministry of Defence, the FCO, the UK House of Commons briefing service, and other countries’ government agencies and international institutions. Her expertise has also been sought by a number of academic, policy and media outlets, in the UK, USA, Canada, Australia, Norway, and Austria. Including, for example, the 9/11 Memorial, and the European Parliament. In 2018 she will be consulting for UN Women on gender mainstreaming in countering violent extremism programmes. Recently she has given expert advice and testimony in the UK in a number of cases involving radicalisation.